Disclosure: I was compensated to write this post by Lennox and Sverve. The views expressed in this post are my own. Home is where the heart is. Home is where you belong. Home is where you feel safe. My children have only known one home. I love that my children will have memories of only one home when they think of their childhood. I love that I can walk from room to room remembering the kids’ first words, first steps, and other precious memories and milestones. I love that my home is comfortable, inviting, and safe. Unlike my children, I had a nomadic, transcontinental childhood. I lived in many, many homes on two continents and three countries. My family was always moving from one home to the next. Even though I had a nomadic childhood to say the least my mother made each home feel safe and comfortable. Just like Lennox does. A home is bricks, wood, siding, flooring, and a roof. A home is a safe place to land. A home is doors and windows and floors. A home is warm and snug. A home is a kitchen where your family can gather around the table at mealtimes and discuss the day. A home is bedroom with comfy beds to rest. A home is rooms where the family can gather to watch movies or play games. A home is everything and more. But there is one part of the home you probably never think about. I know I go about my day at home and never think about it. A home wouldn’t be a home without it. It’s a part of the home that runs silently in the background. A part of the home that we cannot live without. What is it? You’ll never guess… The heating and air conditioning system, of course. That’s right, the most important appliance in your home is the appliance you forget about. You only notice the heating and air conditioning system or HVAC system when it stops working. The HVAC is all about making your family feel safe, comfortable, and perfect. The HVAC system hums silently in the background heating and cooling rooms while you enjoy time with your family. Save up to $1,700 on qualifying Lennox HVAC systems now through June 12, 2015. But how do you describe what an HVAC system means to a home and, ultimately, to your family? 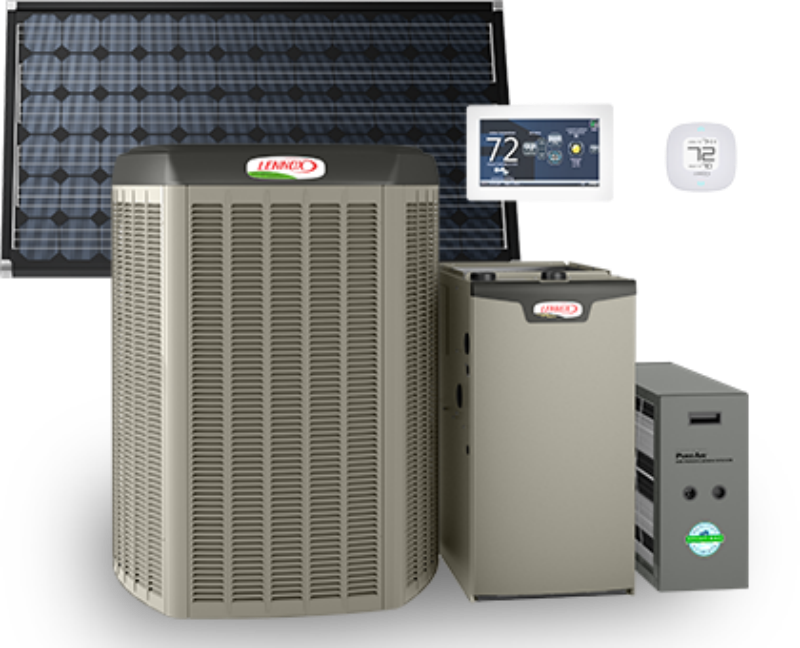 How do you showcase the efficiency, intelligence, and quiet of a Lennox HVAC system? An appliance that runs silently in the background is easily forgotten. It is so quiet that you would never notice it. Lennox turned to American artist John Pugh. Pugh is known for creating large three-dimensional or trompe l’oeil wall murals. 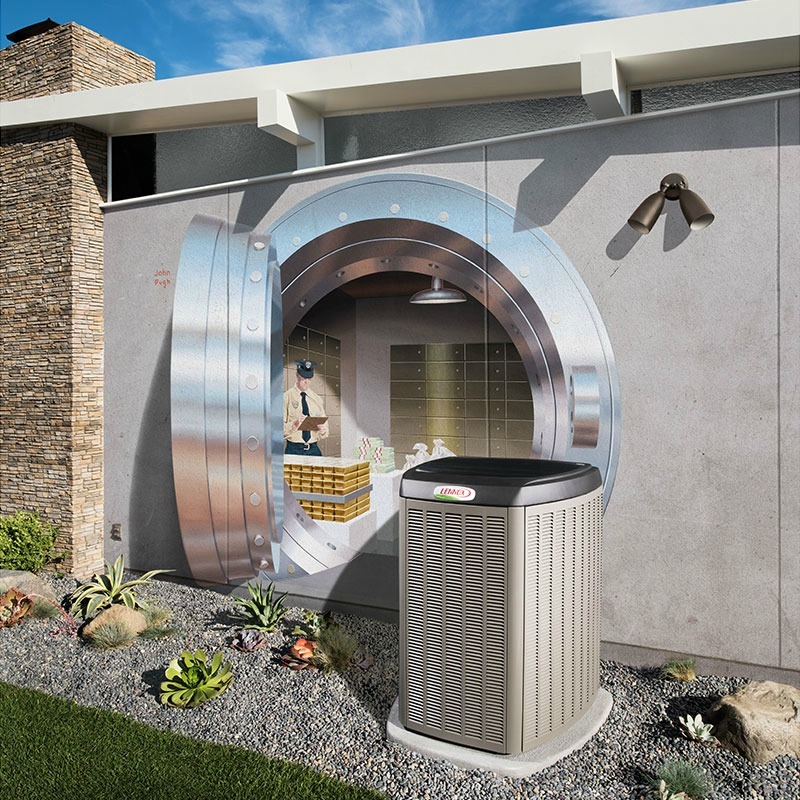 Pugh created the wall mural shown above in this post to show that you can rely on your Lennox HVAC system to last a long time. Pugh’s mural reminds me of impenetrability of Fort Knox. And no one gets in to Fort Knox! Look at the range of efficent, reliable, and quiet Lennox products. Save up to $1,700 on qualifying Lennox HVAC systems now through June 12, 2015. It’s so true! The most important appliance in our homes is the HVAC, yet it’s the one that gets the least amount of consideration. I’m impressed with how Lennox has brought it to the forefront in this innovative campaign. This campaign has been so interesting. Learned a lot about HVAC and Lennox! Love the behind-the-scenes video! Thanks for sharing! As a graphic designer, I am BLOWN away by the artistry of these murals and the subsequent ads they used them to create! I am SUCH a visual learner so this campaign totally speaks to me! This is such a well done campaign. The artwork is stunning! These murals look great — that would be nice if more homes had beautiful murals on them!